My first trip to hells kitchen was a major success. Christy, my mom and I wanted to go somewhere we had never been before so we just googled a couple of restaurants and ended up at 1-2-3 burger. If these sliders in the picture don’t do it for you, I don’t know what will!! 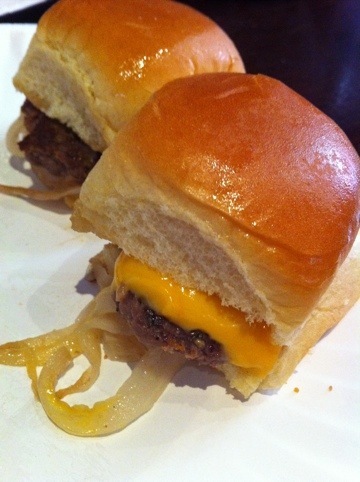 Seriously, amazing sliders at amazing prices. Once we got there, at 1 pm, we quickly realized it’s more like a dive bar but we decided to stay for lunch anyway. I know I will be making the trip back for some drinks and delicious bar food in the near future! !